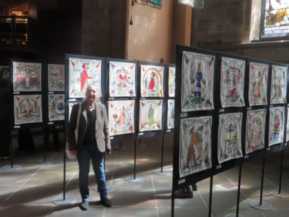 09-May-2017 Exhibition opens at St Giles Cathedral .. back in Scotland at last! 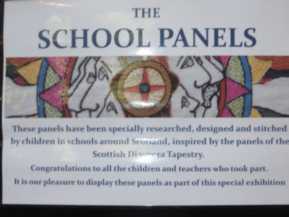 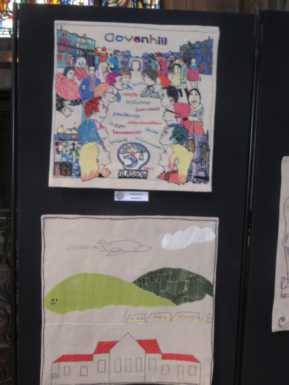 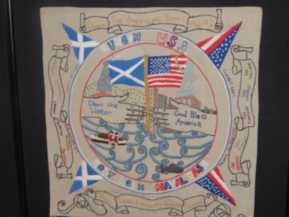 Schools contributed beautiful diaspora panels they had stitched whilst the full tapestry was exhibiting around the globe! 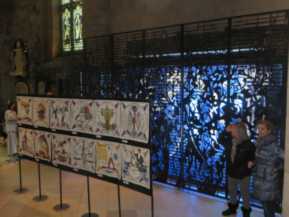 ... and for the bad news? 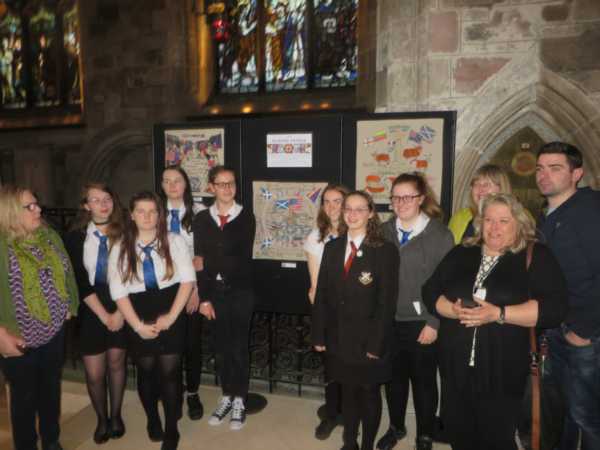 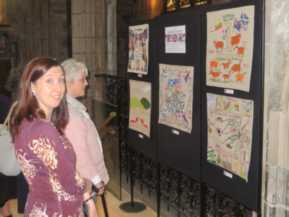 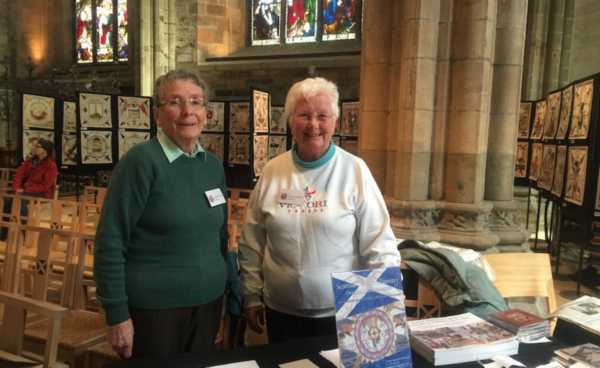 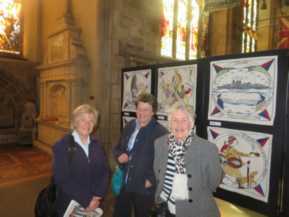 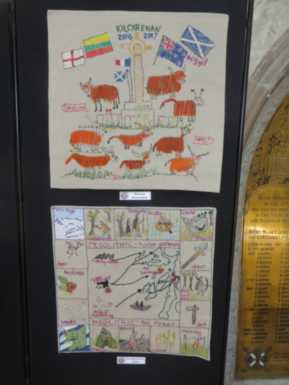 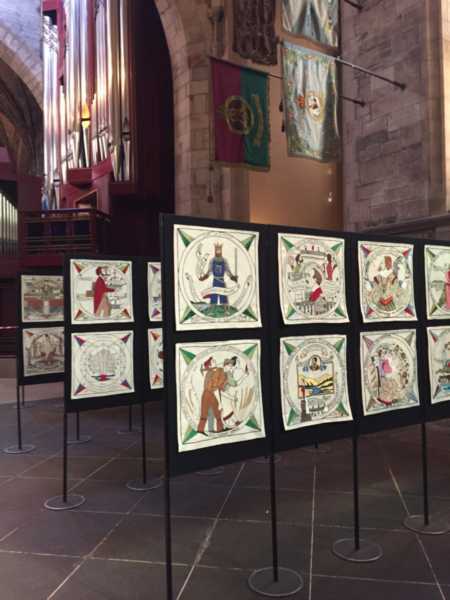 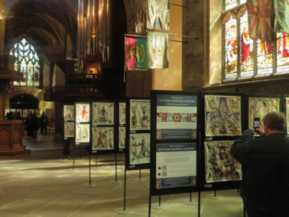 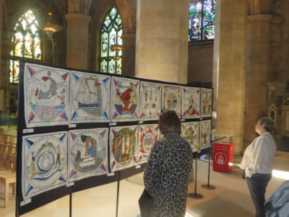 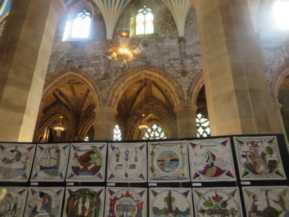 May 7th was a sad day in the story of the Tapestry as a thief sought to spoil visitors' enjoyment of the artwork at St Giles Cathedral. 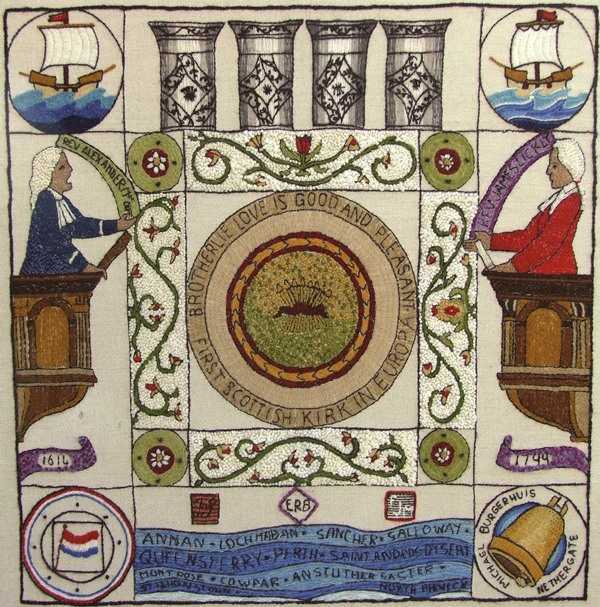 As reported on May 8th here at NEWS, NL05 The Kirk shown below, being Europe's 1st Church of Scotland Kirk, stitched in Veere, was stolen. 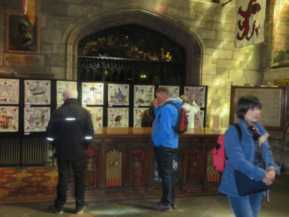 There are cctv pictures and witness statements so it is to be hoped the police can retrieve it before too long.